• Studies suggest that Attention Deficit Hyperactivity Disorder (ADHD) may be linked to omega-3 deficiency. • Researchers think omega-3 can help prevent breast, prostate and colon cancers. • Has been shown to decrease elevated serum triglycerides. • Important for infants (and a developing fetus) for proper development of the brain and retina of the eyes. • Deficiencies have also been found in people who have allergies, asthma, and skin disorders like eczema and psoriasis. 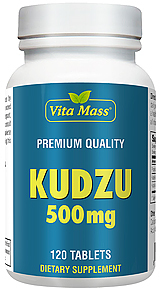 • Supports cardiovascular health by lowering blood pressure, relaxing blood vessels and lowering cholesterol levels. • May also reduce pain for sufferers of rheumatoid arthritis. • May be helpful for symptoms of Crohn’s disease. Fish oil - a source of the Omega-3 fatty acids, Eicosapentaenoic and Docosahexaenoic (EPA & DHA). EPA helps maintain healthy circulation. These three oils provide diverse benefits for your overall health. Omega regulating inflammation, blood pressure and thickness, hormone production, and the activities of the immune and central nervous systems. Common Flax is one of oldest continuously harvested plants in world history. From prehistoric times to the present, flax has been a source for food, fiber (linen), oil, and has been used in herbal preparations. Flaxseed oil (also known as Linseed Oil) is one of the best vegetarian sources of essential fatty acids. It contains approximately 50-60% of the omega-3 essential fatty acid, known as linolenic acid or alpha-linolenic acid, and roughly 18-20% of the omega-6 essential fatty acid known as linoleic acid. Flaxseed oil is nature’s richest source of linolenic acid, which is frequently deficient in diets. The essential fatty acids have several important functions. They are a necessary component of cell walls and cellular membranes throughout the body, they help in energy production and they help regulate the breakdown of cholesterol and triglycerides. Most people consume diets that contain too much of the omega-6 fatty acids and not enough of omega-3 fatty acids. Flaxseed oil is a very important nutritional supplement because it is nature’s best source of omega-3 fatty acid. Borage Oil is the richest source of the nutritionally important Omega-6 fatty acid: GLA (gamma linolenic acid). GLA is the precursor for many important prostaglandins, which are hormone-like substances that may affect blood thickness, skin and joint health, cholesterol levels, dilation and constriction of blood vessels, inflammation, and more. Since GLA is rarely found in foods and many factors block the body's ability to make its own, Borage Oil is an affordable way to meet daily GLA needs. In addition to GLA, borage oil also contains valuable minerals needed for proper cardiovascular function and healthy skin and nails. Clinical research shows that Borage Oil helps maintain healthy moisturized skin and joint flexibility. In Japan, medical claims can be made for its use in maintaining healthy skin function and cholesterol levels. Borage oil is derived from the seeds of the borage (Borago officinalis) plant, a large plant with blue, star-shaped flowers found throughout Europe and North Africa and naturalized to North America. Fish oil comes from the tissue of fatty fish. Types of fatty fish include salmon, tuna, and mackerel. Lake trout, herring, and sardines are other examples of fish that produce fish oil. Fish oil is of great interest to human beings, because it has been shown to provide myriad health benefits. As such, it is recommended by many health authorities for inclusion in a balanced diet. Fish oil is known to contain Omega-3 fatty acids, specifically docosahexaenoic acid (DHA) and eicosapentaenoic acid (EPA). Fish oil is believed to reduce the risk of heart attack. For this reason, experts in health-related fields have recommended fish that is rich in fish oil for frequent consumption. Besides reducing the risk of heart attack, there is evidence that consumption of fish oil works to reduce coronary heart disease risk as well. Other Ingredients: Gelatin, Vegetable Glycerin, Mixed Natural Tocopherols, Soybean Oil. Contains fish (anchovy, mackerel, sardine) ingredients. No Gluten, No Yeast, No Wheat, No Milk or Milk Derivatives, No Lactose, No Egg, No Grapefruit, No Shellfish, No Sweetener, No Sugar, No Starch, No Preservatives, No Artificial Color, No Artificial Flavor, No Sodium. For adults, take one (1) softgel three times daily, preferably with meals.